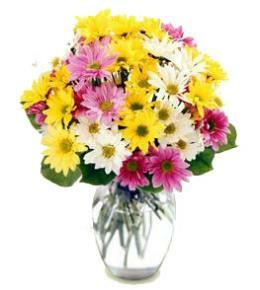 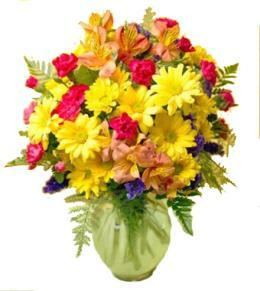 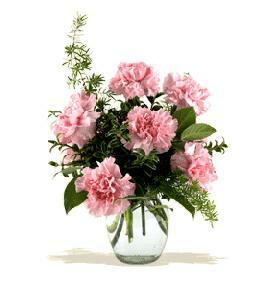 Size: Height: 25" Width: 22"
This exquisite bouquet will deliver your sincere condolences at this time of loss and sadness. 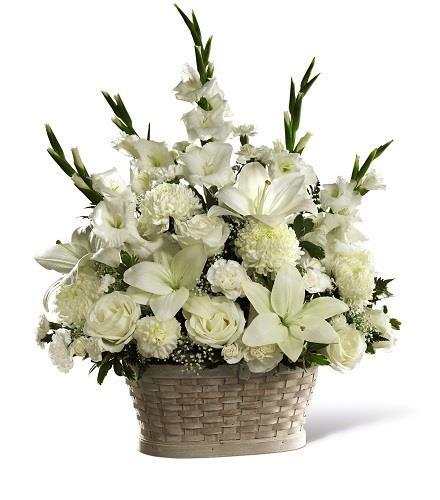 A bouquet of mixed white flowers in a charming white basket is always an appropriate choice. 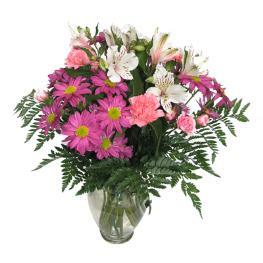 Featuring white roses, carnations, gladioli or snap dragons, round mums, LA hybrid lilies, and gypsophila plus an assortment of lush greens. 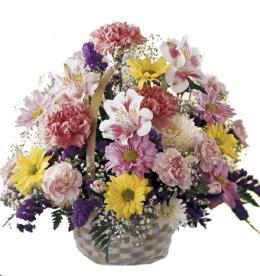 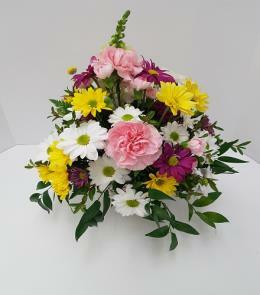 This versatile arrangement is perfect for display on a table, floor or pedestal at a funeral home, on an altar, floor or sanctuary steps for a funeral, and graveside at a burial ceremony.